Do you need to make changes to a membership option? No problem; it’s easy to do! This will show you Memberships Offered On Your Website. Decide which memberships you need to make changes on. Next, click the pencil icon next to the membership you need to make changes on. 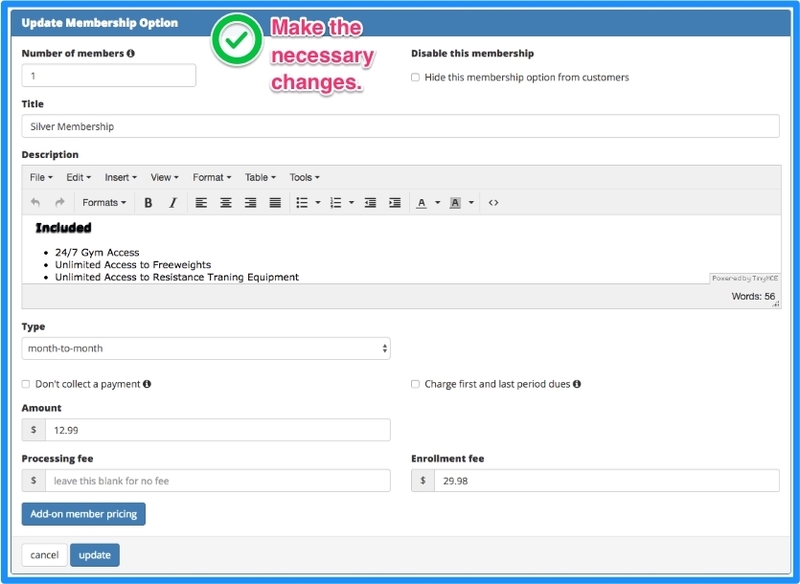 You will see a form that will allow you to make any necessary changes to your membership option. After you have made your changes, click update at the bottom of the form. It’s that easy!